In this video we get an inside look at what a recruiter looks for when reviewing a candidates resume. What do recruiters look for when reviewing a resume? Watch this video to find out the inside tips on writing the perfect resume! GaijinPot recently spoke with Mr. Vincent Birch, Senior HR Manager of Phoenix Associates, about what he looks for when reviewing resumes. He stresses the importance of keeping the resume consistent and professional and goes into detail about what specific areas that job-seekers should pay attention to. Do not capitalize all the letters of your name or any other part of the resume. It gives the impression that you are shouting at the recruiter. Adding the train station you live near is a helpful piece of information for recruiters that many people leave out. Adding the train station will help the recruiters place you in jobs that are close to your location. A valid email address and phone number are vital if you want recruiters to be able to contact you. Vincent recommends that you avoid using your mobile phone email address incase the recruiter wants to send you attachments, instead free services such as Gmail are preferred. Different jobs require different visas, so being very clear about what type of visa you have will increase your chances of getting an interview. A recruiter will not want to spend the time to offer you a job if there is any uncertainty about your visa. The information you indicate on this section should match the information in the Educational history field. Remember: consistency. Adding a photo to your resume is not common in many Western countries but it is something that Japanese companies do place a strong emphasis on. A resume with a professional looking photo has a greater chance of being considered over a resume without a photo. A nice clear shot of your face. Have anyone else in the photo. Use Facebook style “humorous” photos. Use a low quality photo that doesn’t show your face. (1) How much Japanese do I have to know? (2) Do I have to be a native English speaker? Vincent replies that having a basic understanding of Japanese is beneficial but not crucial to you getting the job. He also mentioned that he likes seeing applicants who speak other languages than English, as Phoenix Associates also offers training in other languages. However if English is not your native language then having a flat neutral accent and a strong understanding of grammar is essential. Japanese students are very detailed oriented and are taught from a very young age to pay attention to English grammar. So it is a good idea for all applicants to brush up on your grammar skills. The best way to select information for your resume is to think like an employer. Ask yourself, “If I were hiring for this position, what training and experience would be related?” It is important to give brief, specific, positive information that would make the employers interested enough to give you an interview. A good resume should have a consistent work history. List each job separately, starting with your most recent job and working backward and be sure to keep your work descriptions consistant in length. A cover letter is a vital piece of information that all serious job seekers should include in your resume. The GaijinPot resume system makes it easy to store multiple cover letters which should be specifically tailored for each company that you are applying for. Why you are applying for the job and what interested you about the job. Why you are best suited for this job and why the employer should choose you. The purpose of the resume is to catch the attention of a recruiter to set up an interview. Keeping your resume professional and concise will help give the recruiter the exact information they need to decide if an interview is needed. Making sure your resume is free of any spelling or grammatical errors is vital in making sure that first impression is a positive one. Keep these tips in mind when adding your resume to the GaijinPot Job System. A well written cover letter can help you stand out and get that job. 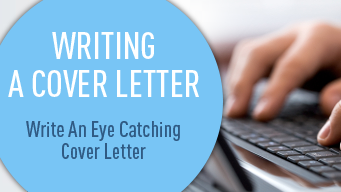 Follow our guide to writing the perfect cover letter.